I started my professional career as a broker on residential real estate market in Home Broker where I learned basics about real estate market. During studies I accomplished an internship in production agency where I was assisting and helping with organizing work of the office and current projects. To develop my knowledge about real estate market I joined Retail Agency to support the work of the department. 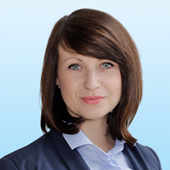 Dorota joined Colliers in December 2012 as Assistant in the Industrial and Logistics Agency. She is responsible for supporting the team in their daily duties, the flow of information, preparation of presentation and analysis of the offers. She close cooperates with one of directors, Maciej Chmielewski. Dorota is also responsible for updating the databases and the development of the website warehouses.pl. Before joining Colliers, Emil worked for emFinanse Sp.z o.o. (part of the BRE Bank group), creating and then subsequently managing divisions offering mortgage products. 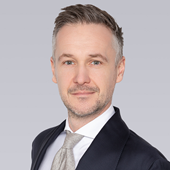 He has also gained professional experience working for Raiffeisen Bank Polska S.A., Pekao Bank Hipoteczny, HypoVereinsbank, CitiCorp and T-Mobile Polska S.A.
Emil Domeracki has taken the position of Land Acquisition Senior Specialist and is cooperating with developers when looking for plots for residential projects. Emil has been recognised as the top salesperson, reaching every goal set, on multiple occasions.